KDF Fluid Treatment, Inc. manufactures two product lines of its distinctive, high-purity, granulated media: KDF® 55 Process Medium and KDF® 85 Process Medium, each with its own KDF®-F (Fines) version. 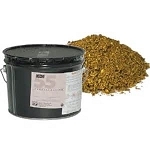 KDF 55 Medium was designed specifically for removing or reducing chlorine and water-soluble heavy metals. It controls scale, bacteria and algae, even in hot water. 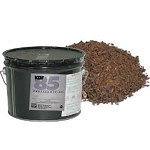 KDF 85 Medium removes or reduces iron and hydrogen sulfide from municipal or other water supplies. Also controls scale, bacteria and algae.